UO Portland welcomes new professionals of color at Say Hey! For newcomers to the Northwest, getting adjusted takes time. It can be especially difficult for recently relocated professionals of color. Enter Partners in Diversity, an organization that partners with member employers in Oregon and southwest Washington to attract and retain professionals of color. 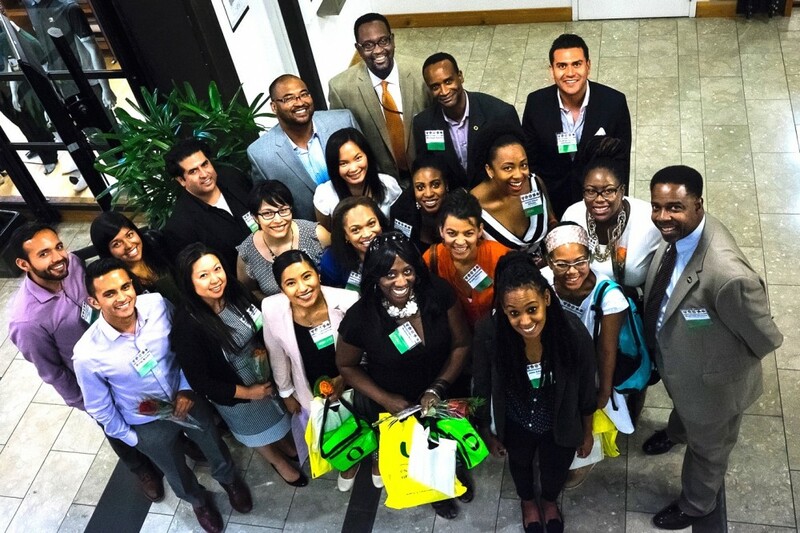 Recently, the group joined with the University of Oregon to host Say Hey!, a quarterly networking event designed to honor professionals of color and connect them with the local community. More than 300 people attended. The event featured an address from Yvette Alex-Assensoh, the vice president of UO’s Division of Equity and Inclusion, who encouraged attendees to take full advantage of the evening’s networking opportunities. Following Alex-Assensoh’s address, Partners recognized 31 honorees, representing a variety of fields such as nursing, banking and fitness. Portland Center Stage’s James Dixon and Don Mason provided honoree introductions, entertaining the packed ballroom with off-the-cuff humor and theatrics. While there was plenty of entertainment and most of the evening’s discussion was light, Alex-Assensoh made a point to highlight the underlying urgency of this and other such networking events. To learn more about Partners in Diversity, visit www.partnersindiversity.org. To learn more about the University of Oregon’s Division of Equity and Inclusion, visit http://inclusion.uoregon.edu.